DUESSELDORF, Germany -- A German court dismissed a suit by an environmental lobby group seeking a ban of certain Volkswagen diesel cars from the western German city of Duesseldorf. The trial at the administrative court in Duesseldorf was the first in a series of suits lobby group Deutsche Umwelthilfe (DUH) is bringing in 10 German cities to get them to take steps to ban polluting cars and improve air quality. 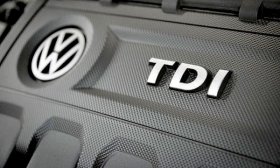 DUH had claimed that the city unjustly allowed Volkswagen diesel vehicles that had contained emissions test-cheating software to continue to operate even though their emissions were still excessive following software upgrades.